Love is in the air with Valentine’s Day right around the corner. Have you made plans to show your loved one how much you adore them? If you have no idea what you’re going to do for Valentine’s Day, then our blog can help you figure out what you can do to show your love. While you may not think transportation services and Valentine’s Day go hand-in-hand, they actually do. By hiring a transportation service, you can spend more time with your loved one without worrying about getting to your special destination or where to park once you arrive. If you’re interested in hiring Ohio Luxury Services for your Valentine’s Day out, make a reservation today. While Valentine’s Day is seen as a commercial holiday for many, there are many couples who enjoy having a special day to themselves. Each couple has their own special activity they enjoy doing. For you and your special someone, you could enjoy going out for a nice dinner and then getting drinks after. You could also want to go out for a play or see a movie to celebrate your love of culture together. Whatever you and your loved one enjoy doing, we have some suggestions as to how the perfect Valentine’s Day could go. Regardless if you buy items all the time to show your love, having a little special something that shows your adoration during Valentine’s Day is always beneficial. There are so many great items you can use to show your love such as chocolates, flowers, jewelry, or even a card to mention that you’re thinking of the other person. Before you set out for your night on the town, give your special someone a little something that shows that you love them. Once you are ready to leave the house for a night on the town, take the time to utilize transportation services from Ohio Luxury Transport. It’s beneficial to use our transportation services during your night out because you can take advantage of just relaxing with one another without worrying about how to get around. In addition, you can spend that extra time with one another without any distractions. Using transportation services will also add an elegant and luxurious factor to your night out to make it a bit more special. Lastly, on your perfect date, you should always end with a destination that you both adore. 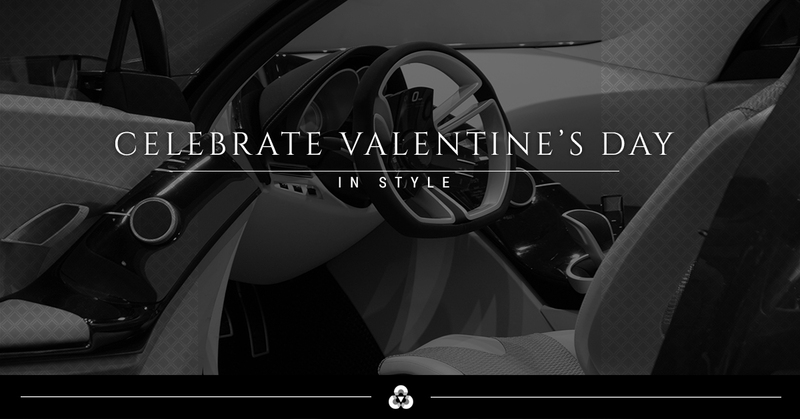 The Valentine’s Day gift and the luxurious drive are only part of the battle to get there. The destination is where you’ll remember why you two fell in love in the first place. Whether you have a favorite spot, restaurant, or you adore going to cultural events together, then end your Valentine’s Date with something that you both enjoy doing. To celebrate the holiday of love, make sure that you reach out to Ohio Luxury Transport to take advantage of our transportation services.